You may probably know, for you to study in the U.S, you must have a student visa, which is the most important thing you have. To those that intend to study and work at the same time, the current USA visa rules may or may not allow you to work depending on the kind of visa you hold. F-1 student visa is also known as the Academic Student Visa. This kind of visa will allow you to live in the U.S. only if you are a full-time student, either at a recognized university or college, conservatory, seminary, elementary school, high school, or any other recognized academic institution. In addition to this, to qualify for this visa, you must enroll in a course or program that will eventually culminate to a certificate, diploma, or diploma. Also, your school or institution of choice must have authorization from the U.S. government to enroll international students. Engaging in jobs that the current USA visa rules consider illegal or risky for students can very well lead to deportation. This visa is also known as the vocational student visa and as expected, it caters for students wish to acquire non-academic or vocational training in the U.S.
M-1 student visa holders are prohibited by the current USA visa rules to engage in practical training while still partaking their vocational training and just like F-1 student holders, M-1 students, and their off-campus jobs must be related to what they are studying and must first be authorized by the Designated School Official. Just like F-1 students, M-1 students who choose to work without proper authorization might be forced to leave the country immediately and may never be able to apply for any type of US visa in their lifetime. Upon completing their education, both F-1 and M-1 must leave the U.S. or seek legal advice if they wish to extend their stay legally. 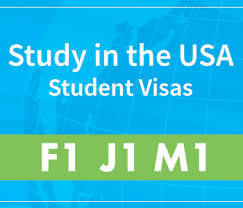 According to the current USA visa rules F-1 students have a maximum of 60 days after completion of their programs to leave the country, while M-1 students have only 30 days after which they may face legal action unless they have already filed for an extension.